In copper structured cabling system at all levels, there are two main technical types: Shielded and Unshielded cabling systems. Both types have been in existence since the earliest cabling standards were defined. While shielded cabling became popular from the outset in countries like Germany, Austria,Switzerland and France, U/UTP was quickly adopted in the rest of the world. 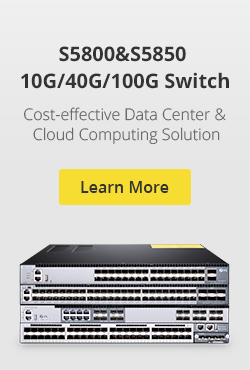 Although both systems work fine at 1 Gigabit Ethernet data rates, shielded systems can demonstrate superior performanceat higher data rates such as 10G due to their ability to reliably support higher frequency transmission. What Is the Function of Shielded? This is the root of the signal transmission cable radiated interference signals on the impact of adjacent data cable (for example: the same bundle of cables in the adjacent data cable).Interference from other data cable or other interference source signal for this cable.For a high quality data transmission system, which is significant in two kinds of effects. If the external interference signal is strong enough it will happen with the normal transmission signal stack a plus, resulting in reduced transmission performance even the entire system can not work properly. S/FTP structure in addition to the total package of braided foil shield, twisted pair cable are respectively in each pair with a layer of aluminum foil shield to protect the transmission signal does not interfere with each other, so near-end crosstalk attenuation (NEXT)performance dramatically. NEXT better performance means higher SNR and better transmission quality and faster system output. S/FTP shielded cables NEXT excellent structural performance of other cables (such as non-shielded U/UTP) can not be compared, therefore, ISO11801 on the Cat 7 (600MHz) and Cat 7a (1000MHz) only provides the S/FTP cable structure, U/UTP cannot meet. 2006 Copper Gigabit Ethernet applications published the proposed new standard transport protocols 10GBASE-T. Compared to 1000Base-T, its transmission rate increased 10 times. 1000BASE-T copper cabling required parameters (Attenuation, NEXT, Return Loss, etc.) the bandwidth required to reach 1-100MHz, with UTP Cat 5e (Class D) cabling system to meet requirements. 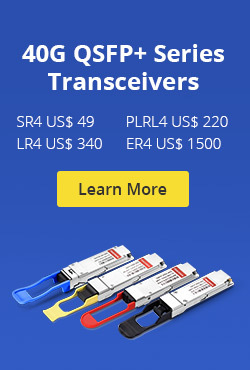 10GBASE-T cabling channel requirements of all component parameters have to be up to 500MHz bandwidth, which requires copper to reach at least Cat.6A (Class Ea) or higher level. Along with the development of 10GBASE-T, external noise problems become more evident, resulting in a specification for external noise to be used to assess in the same bundle of cables, the interaction between different cables. This is what we call Alien Crosstalk. Alien Crosstalk will increase with the increase of frequency. Worse, 10GBASE-T confronted with external noise, will not be able to “adaptive” to lower the rate at which the network may be subsequently face paralysis. Therefore, to support 10GBASE-T cabling system application, the ability to resist alien crosstalk is vital. Since 10GBASE-T high transmission frequencies and complex coding method is very sensitive to the external noise. Shielding system excellent coupling atttenuation performance makes it naturally have to resist alien crosstalk.The unshielded system against alien crosstalk is usually only on the performance of 0dB.Shielding system in the design is completely satisfy the application of 10G. As far as possible away from power cable during installationDifferent applications (1Gb/s and 10Gb/s) in the same pipeline transmission will cause the external crosstalk. In EN50174 standard defines the content of different coupling attenuation value level of data cable, respectively, from A (low coupling attenuation, worse) to D (high coupling attenuation, good) four levels. Installers need to know which cable separated levels to determine the choice of the data requirements of the standard cable with power cable between the minimum separation distance. Data cable coupling attenuation higher the value and power cables minimum separation distance between the smaller. Please refer to the following three examples, screenshots from Nexans Toolkit. Relative to the shielded cable, the unshielded (U/UTP) separation distance between cable and power cable to further. In the implementation of the project, if need the data cable and power cable isolation far distance, we need a bigger size pipe/bridge, or even additional bridge, doing this will no doubt have higher cost, sometimes limited to the bridge installation space. To make matters worse, these additional requirements often neglected or ignored, resulting in network system is the key point of interference. For shielded, unshielded systems and fiber optic cable, all need to implement protective grounding. Because of the need to consider personal and equipment safety, therefore no matter adopt what kind of cabling system, the metal part of the system must be grounded. For the shielding system, also need to implement the functional ground. Grounded shielding system functions with respect to the implementation of non-shielded systems only difference is that when you install the module connector and the cable shielding mask area area connected. Shielding system relative to the unshielded system has been greatly improved EMC performance. For Gigabit Ethernet applications, shielding against external interference effects is essential, and shielded cabling system had to meet the standards in the design of anti-alien crosstalk (A-XT) requirements, can effectively prevent the cable from the adjacent between the external crosstalk. Shielded cabling system, properly grounded at both ends of the case, to resist external interference characteristics superior to unshielded system 40dB. This entry was posted in Cat5/Cat6/Cat7 Network Cable and tagged Copper Cabling, fiber optic cables, Twisted Pair Cable on August 21, 2013 by Amelia.Liu.